We provide web design, web development and custom web solutions to small business in all industries. Use our quote form or give us a call at 800-657-5432 to discuss your project. We provide e.Commerce web design, development and custom web solutions to business in all industries. Use our quote form or give us a call at 800-657-5432 to discuss your project. We provide ongoing technical support and maintenance support. We offer everything from updates, backups, trouble-shooting and consulting. We have several plans available. Fill out our quote form or call us at 800.657.5432 and talk to us about maintaining your website. Back ups, add ons, troubleshooting, etc. We provide SEO & Social Media services to business in all industries. Use our quote form or give us a call at 800-657-5432 to discuss your project. We provide graphic, branding and print design to business in all industries. Use our quote form or give us a call at 800-657-5432 to discuss your project. We provide fast, reliable hosting. Take a look at our prices or give us a call at 800-657-5432 for assistance. NetQwik is a full service web design firm. Our website designers are based in Ashburn, Virginia. We create web pages for small to medium size business. We specialize in website design, WordPress Design, eCommerce web Development, mobile development and search engine optimization. Since our inception we have grown rapidly to become one of the leading creative design company in the Washington, DC metropolitan area. Our graphic designers work with you to create your unique company identity. Every business needs a unified look. We can help you by creating your business cards and print material. Our web developers leverage existing open source e-commerce shopping cart solutions. This keeps the development time to a minimum, thus saving our clients a considerable amount of money. To get more information about our web design and web development services, please contact us. Over the years we have branched off into new territory to keep up with the demands of the changing technology, but basically we are just web designers. When designing a website we follow Google’s best practices. Our goal is to create web pages that are functional, search engine friendly and drive traffic to your site. Our Virginia website designers are talented, certified and experienced. They work closely with our clients to develop high quality websites that deliver results. Our web design company guarantee that our clients acquire a highly-functional website that will not only achieve all its objectives, but also surpass their expectations. You can be confident that whatever your project demands, our web designers can deliver a pixel perfect web design on time and within your budget. Once the website is launched, our Virginia web design team works with clients to maintain their websites and offer tutorials to manage their sites. All our training is done over the web, to enable us to provide web services to clients not only in Northern Virginia but throughout the United States. NetQwik Web Design company is based in Ashburn in Loudoun County, Northern Virginia, in the suburbs of Washington, DC. 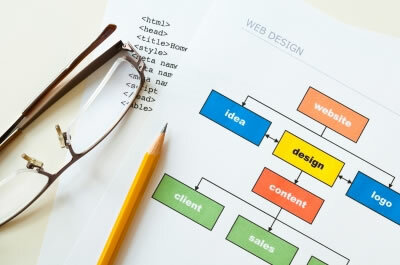 We offer a variety of web solutions from basic website design to e-commerce websites and data driven web applications. Our website design clients range from small start-up companies to large corporations nationwide.